Having promised to stop dithering, British Prime Minister dithers again and again. Back to school and Cameron tries to find ways of retrieving himself from the dustbin of politics. ‘Son of Heath’ Cameron started from a poor place in replicating the history of the Heath Administration. Way back then the national socialist bogeyman was cigar smoking academic, pretending to be a pipe smoking son of the people, Harold Wilson. The Tories had just about given up all hope of defeating Wilson and searched for a Wilson look-alike amongst their MPs. Out came Heath who narrowly scrapped to power and then dithered his way through until losing to Wilson at the next election. The only thing that he achieved was the betrayal of Britain when he lied to the British electors to get them to agree to joining what became the EU. On queue, the Tories elected what they thought was ‘Son of Blair’ Cameron to win power from the national socialist Blair Brown Regime. This time the look-alike couldn’t even scrap a clear majority and was forced to join with the LibDems to form a Coalition LibDem/LibCon Government. This PushMePullYou Coalition has been a miserable fudge and Cameron might be forgiven some of his dithering as he tries to appease the useless Clegg. The Cameron shake up has been yet another dither and included an expenses fraudster LiBDem MP’s return to Government, this time with two portfolios. 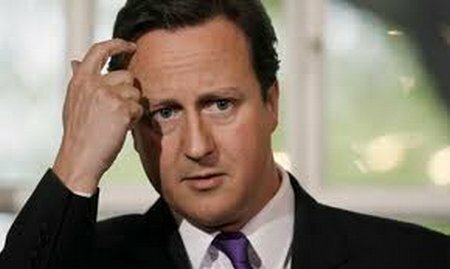 Still the real explosion will be in the EuroZone so maybe the new Cameron Government is not much more than a sideshow. Milliband and Balls are licking their lips in the hope of repeating the Wilson history by replacing the LibDem/LibCon Coalition with another chaotic national socialist government. However, this time, there is a real alternative for voters. Instead of having a poor choice of voting for one of the the old failed Parties, the UK Independence Party offers a real choice for the first time.